Elon Musk's carmaking company knows that it has to make batteries faster now that it's coming out with its first mass-market electric car later this week. But Tesla wasn't able to do that in its second quarter, the company said on Monday. Tesla (TSLA) delivered just over 22,000 vehicles in its second quarter. That marked a 53% increase over the same time last year, but the numbers only helped the company reach 47,100 deliveries in the first half of 2017. That's at the low end of the delivery target that Tesla told investors it wanted to hit. The problem was a "severe" shortfall of battery packs made with new technologies on new production lines, Tesla said. Once it resolved the problem, June orders and deliveries were strong, the company said. The acknowledgment came hours after Tesla CEO Musk announced that the company's Model 3 -- its first mass-market electric car -- would start rolling off the production line this week. Musk says the company will soon ramp up production and expects to produce 20,000 cars per month by December and 40,000 vehicles each month at some point in 2018. 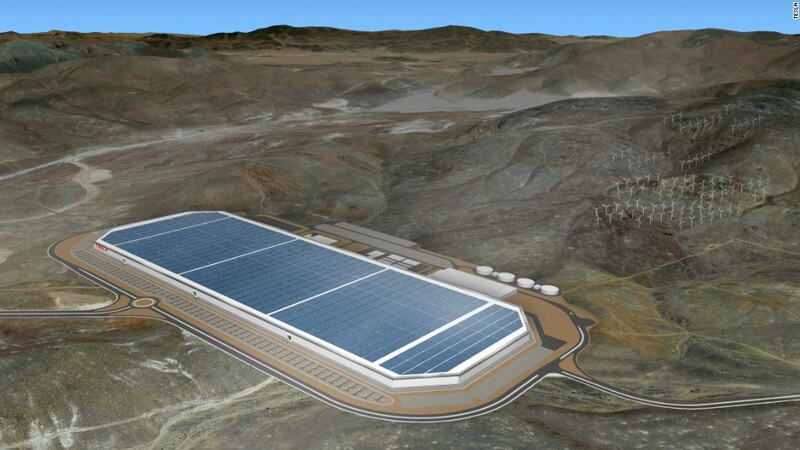 Meanwhile, Tesla says it wants to build more factories that can make the lithium-ion batteries it needs for production. The company said earlier this year that it wanted to open as many as three new locations for its "Gigafactories." It opened an enormous, 5.8 million-square-foot factory in Nevada early this year. --CNNMoney's Jethro Mullen contributed to this story.